This Yixing Zisha Tea Mug with lid has atmospheric model painted with Zhuanshu on the body, which is suitable for men to use and has good collection value. 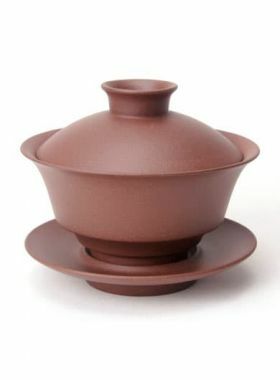 The tea mug is cylindrical with a diameter of about 9cm. 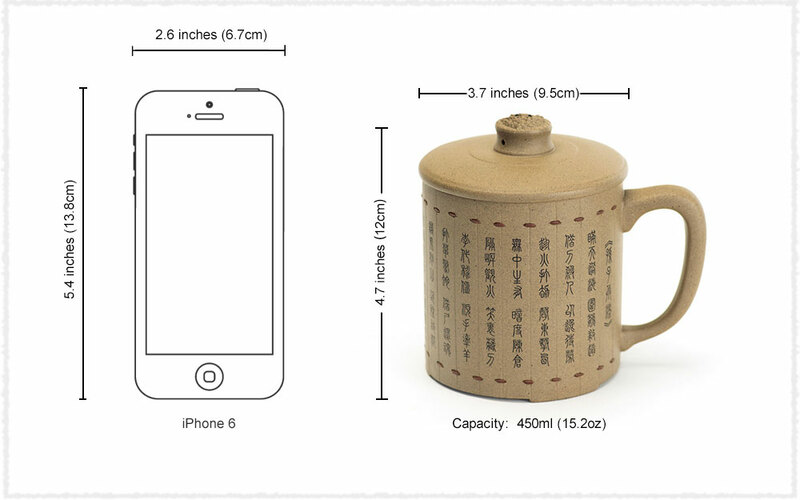 The shape of mug’s body imitates Chinese ancient bamboo slips, and there is a groove every 1cm, with the Chinese ancient art of war “Thirty-Six Stratagems” in Xiaozhuan style are written in the distance of 1cm. The button on the lid of tea mug uses the dragon as model, which is beautiful, powerful and convenient. Combining both Chinese Zisha art and calligraphy, this Bamboo Slip Yixing Zisha Tea Mug embodies profound Yixing cultural details.